At today’s 2016 joint conference of the European Commerce Registers’ Forum (ECRF) and Corporate Registers’ Forum (CRF) in Cardiff, UK, kompany.com announces its development to provide electronic ledgers of original and authoritative company information. By applying a hybrid blockchain to continuously monitor and note changes of official company information (e.g. company filings, changes in directors, etc. 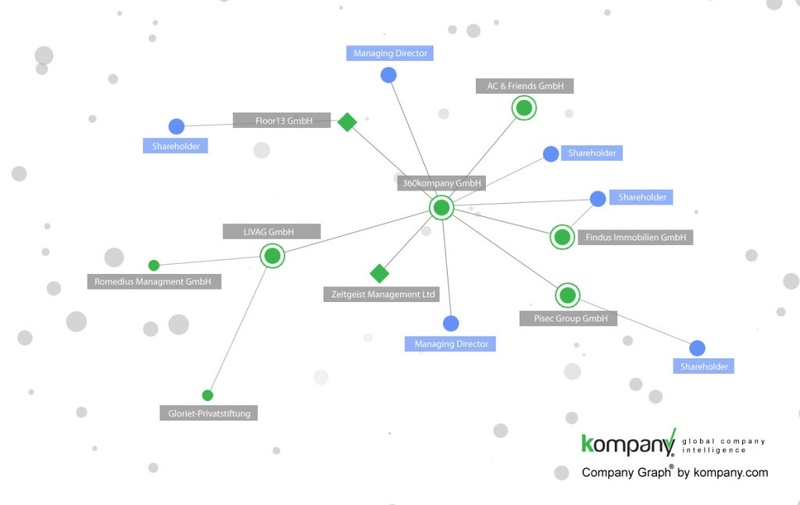 ), kompany.com can provide the ultimate source of actual and historical, fully auditable and valid company vitals and filings. The company blockchain also offers a one-stop-shop access to retrieve all available information and official documents on a specific company and its officers, including the identification and visualization of interconnections with other companies and beneficial owners worldwide. Moreover, it enables a search for companies based on all current and future identifiers (e.g. commercial register number, LEI, EUID, REID, DUNS®, Bloomberg Global ID/FIGI, Thomson Reuters PermID, EIN, VAT numbers), thereby harmonizing today’s global company information infrastructure. In a networked and global marketplace compliance and risk management is increasingly crucial. The growth of KYC / KYB (know-your-customer /-business), AML (anti-money-laundering), and EDD (enhanced due diligence) requirements is driven both by regulatory changes and the commercial need to avoid business disruptions. kompany already today supports the financial industry, large corporates and various ERP / CRM platforms and market places to automate their KYC / KYB processes for client onboarding and monitoring, resulting in significant time and cost savings.